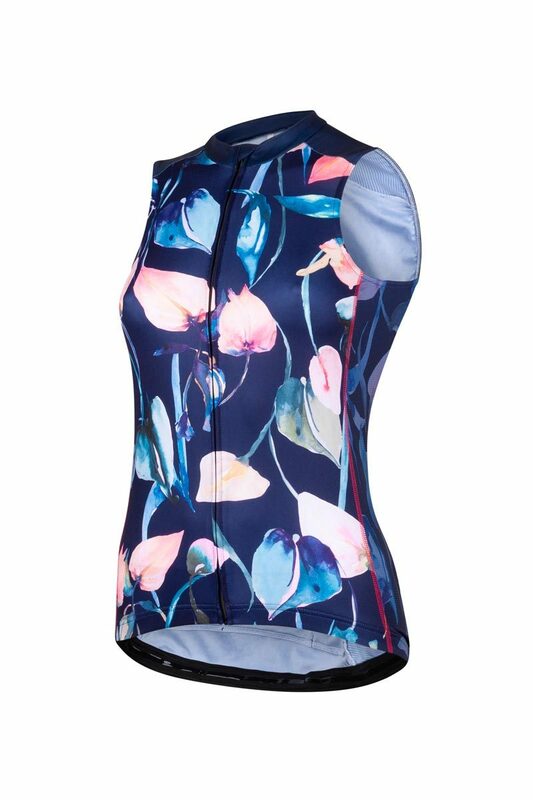 Go outside and bloom in this enchanting sleeveless cycling top for women. Get on your bike in this feminine outfit and prepare yourself for magical rides. When we discovered the British designer Nikki Strange, we were sold immediately. We loved the print she paints! And she wanted to cooperate with us too. 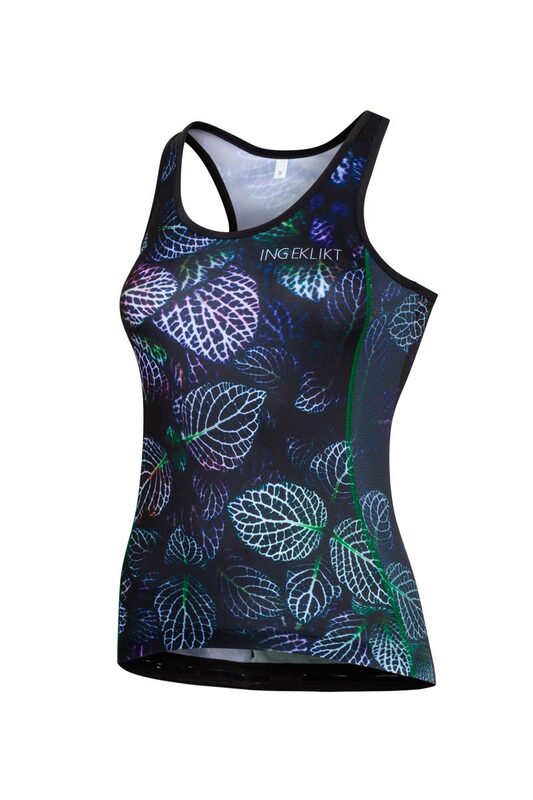 The sleeveless Night Lilies jersey is the enchanting result. Our other sleeveless cycling tops just have one back pocket: this one has 3 (+ a pocket with a zipper). This makes it well-suited for long summer rides. 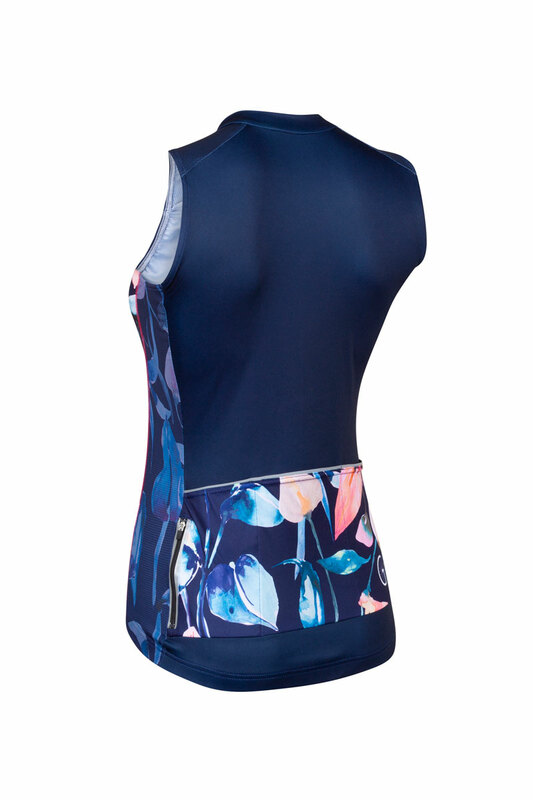 The feminine print combined with the dark blue color gives you a magical feeling when riding your bike. Complete your outfit with the matching bibshorts. 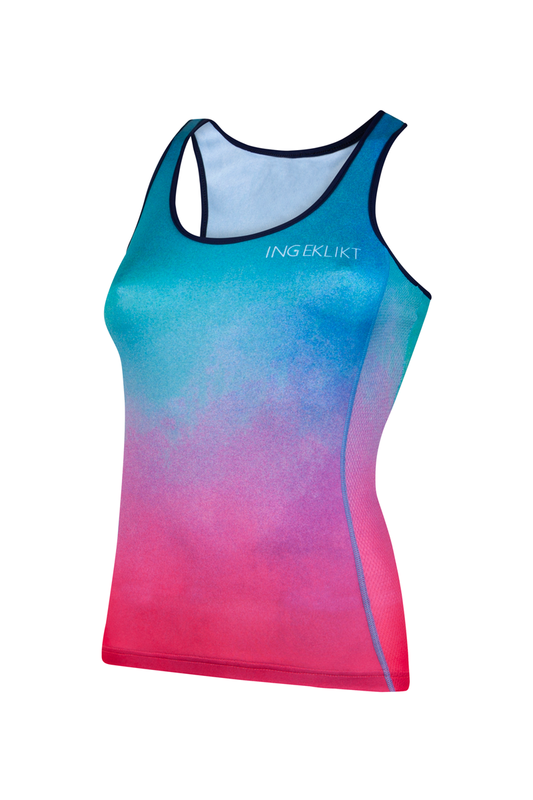 This sleeveless cycling jersey for women is standardly available in size S up to 3XL and on request in size XS and 4Xl.